The Apple iPad 2 was released at the Yerba Buena Center for the Arts in San Francisco. Steve Jobs himself officially presented the new tablet. Now as things have settled down a bit, here is an Apple iPad 2 Review, with an in-depth analysis of the key features. This A5 chip obviously makes the Apple iPad 2 twice faster than its predecessor, while it also touts up to 9X better graphics. 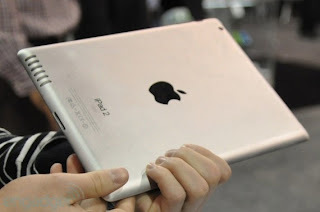 It was also previously rumored that the Apple iPad 2 will be slimmer and considerably lighter than its predecessor. Well, that’s true, as Steve Jobs told the audience about its dimensions. The iPad 2 is around 33% thinner than the previous Apple tablet. The width of the Apple iPad 2 is only 8.8mm down from 13.4mm. It is even slimmer than the iPhone 4! 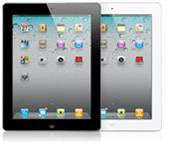 Some users like it white and someothers like it black, so Apple decided to design the iPad 2 in both colors. The audience at the event was so really excited when Steve Jobs announced that the white iPad 2 will be shipped from the very same day than the black iPad 2, meaning that there will be no delay in the delivery of the white iPads. The previous iPad did not have a front camera, so there was no video conferencing capability, but the face camera has been confirmed for the Apple iPad 2. The back camera is able to record 720p HD videos. This is a great improvement in Apple’s tablets. Yes that’s right! The iPad 2 will be running iOS 4.3, which will be soon available to download for your iPhone 3Gs, iPhone 4, iPad and iPod Touch 3G & 4G on March 11. Personally, the thing which has left me awestruck is this new feature. As the iPad is thinner and for it to have Gyroscope, which is aware of the movements of the device in space, is something huge! Also the built-in accelerometer will give both the portrait and landscape views for games, photos and ebooks. Now when the three-axis gyroscope, accelerometer and compass will all work together then games, maps, and other apps know your every twist, tilt, and 360. It will be an ultimate experience! As for the price of the Apple iPad 2, it looks like a smart move by Apple to keep the prices unchanged. On the internet, whatever we have read about the features of the Apple iPad 2, Steve Jobs gave an excellent impression of this new tablet.